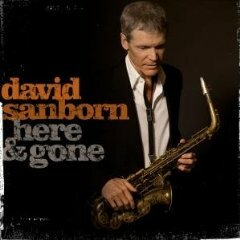 Jason Crane interviews saxophonist David Sanborn. Sanborn is one of the few jazz players whose name is known even outside the jazz world. It’s fitting, then, that he’s using his new album Here & Gone (Decca, 2008) to bring a lesser-known jazz saxophonist into wider awareness. Here & Gone celebrates the music of Hank Crawford, a saxophone player and the principal arranger for the Ray Charles “little big band” of the 50s and 60s. Crawford’s playing had a huge impact on Sanborn, and Sanborn repays the favor with this thoughtful and soulful tribute.